Since I was a little girl, I can remember always holding my Grandmother’s hand. At stores, at the park, at church. Everywhere. As an adult, I would sit next to her and hold her hand when I would visit her. 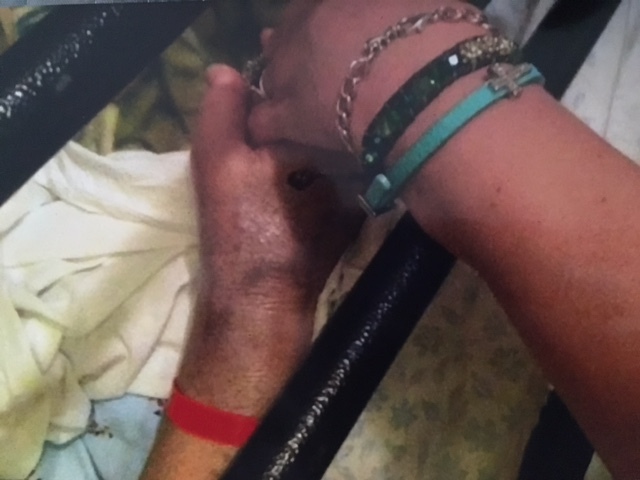 I sat in the floor next to her wheelchair and held her hand on the day of my grandfather’s funeral. And I was blessed to be able to be with her and hold her hand through the night when she died. It’s funny the things you think about as time passes. As I get older, I notice that I actually have her hands. 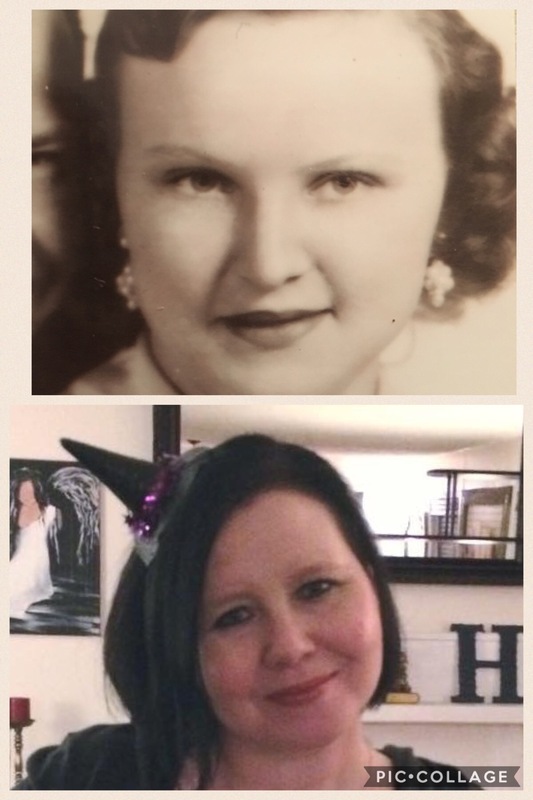 And, when I saw my sweet aunt at my cousin’s baby shower several months back, she mentioned how much I now look like my Grandmother when she was young. And I realized that is true. On this, the 3rd anniversary of her death, I am still missing her so much. I always will I know. 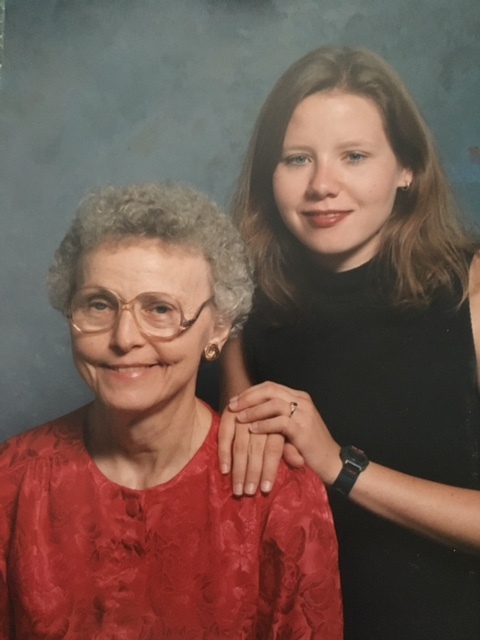 However, she was a terribly brittle Type 1 Diabetic, and, during the time in which she was diagnosed (at age 9), she was told by one doctor she would not see 50, so I know how tremendously blessed I am to have had her with me as long as I did. Still, because of my own autoimmune diagnosis in the past few years, there is so much I know and understand now that I didn’t when she was alive that I wish I could have shared with her. I realize now just how much pain she lived with in her legs that she didn’t share with anybody because she didn’t want to be a burden. I know how much her health problems frightened her because something new was always happening and there was no way to predict what would be next. I understand why she was so damn stubborn about not using a walker for the longest time – though she really needed it – because in her heart she knew that meant she really was declining. And one big thing I realized was that she had Celiac Disease like Sara and I do. For several years, she had this really profound anemia that required Procrit every month that her doctor could never figure out. My Celiac Disease was found due to profound anemia. Additionally, she bruised like a peach and had horrible GI symptoms which sounds awfully familar to me. At that time, Celiac Disease was not the first thing that doctors checked for but it is genetic and I regret that it wasn’t found because it would have made her so much more comfortable. Unfortunately, there isn’t anything that can be done about that now. More than anything, I just wish she was here to talk to. She was really soft-spoken (obviously, I didn’t get that from her) but so very funny. She adored her grandchildren and would be head over heels in love with her newest great grandbaby, Harleigh Faye. And she would love seeing what her older great grandbabies are up to these days. I wish she could have enjoyed more happy, healthy time. Since that was not to be, I know she’s at peace and not sick and not in pain and for that I am so thankful. And I will love and remember her always. Previous Article Pills, Injections, and Doctors, oh my!